If you were to design the worst possible environment for software engineering, the cramped jump seat of a John Deere tractor would be a contender. The sound and vibration of the engine makes conversation and concentration difficult. If the sun isn’t making it impossible to see the monitor, the blowing dust is. This is a common scenario at Blue River Technology because the company is in the agriculture business. 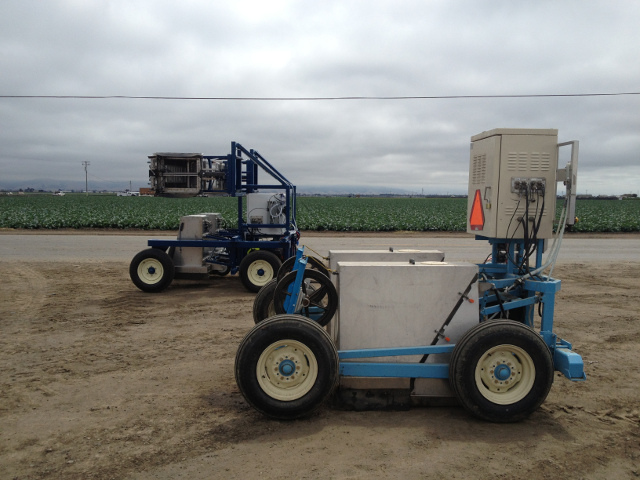 Blue River combines computer vision and robotics to deliver precision thinning to lettuce growers. Blue River makes machines called lettuce thinners. Lettuce growers plant too many seeds because only 80% of seeds actually turn into plants. Since a lettuce head needs 10 inches on either side to get the resources it needs, growers must then thin the field of excess lettuce. 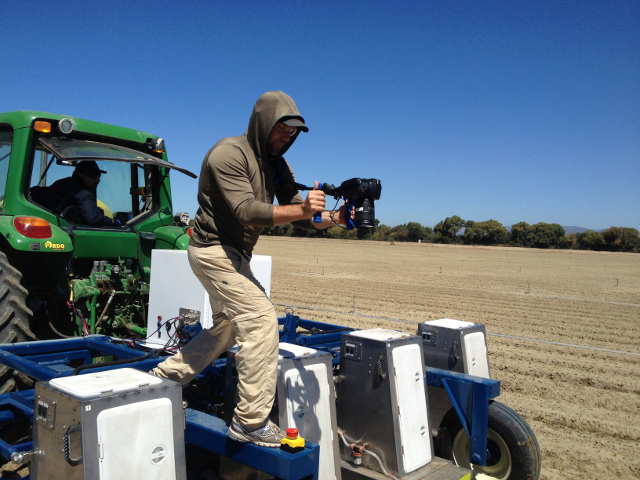 Blue River’s machine is pulled behind a tractor and takes pictures of the plant seedlings. It identifies the ones to keep and the ones to kill and toggles a sprayer to render its verdict. There is finality to this machine. If it messes up it doesn’t just waste time, it impacts the grower’s yield. It never ceases to amaze and delight us when we learn of new and innovative uses of ROS. Just recently, ROS celebrated a celestial milestone when it arrived at the International Space Station as part of Robonaut 2. While Blue River’s solution is certainly more terrestrial it is no less innovative and impactful. 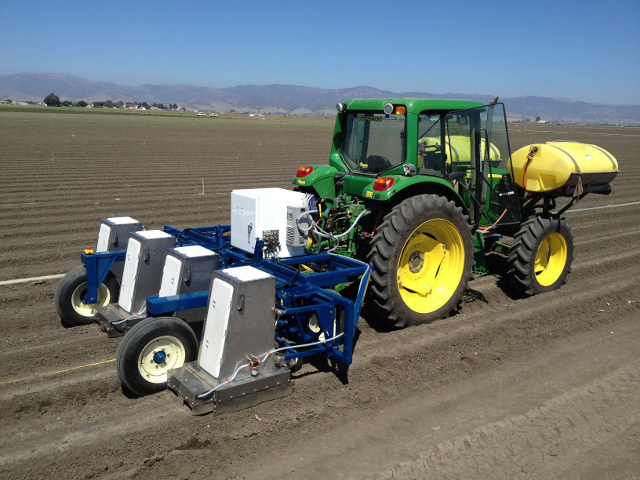 Being able to deliver a precision agricultural solution to farmers means higher yield and fewer chemicals. Because of the permissive open source license of ROS, we aren’t always aware of who is using ROS and for what purposes. In this case, we are very grateful to the team at Blue River for sharing their story with us. If you are using ROS and have a story to share, please drop us a line at info@osrfoundation.org.